First published in 1923, issues of the Weird Tales magazine have appeared only sporadically since its original run ended in 1954. And yet, like a monstrous beast that cannot be taken down, Weird Tales has returned from (seemingly) certain death yet again. Self described as an intersection between speculative and alternative storytelling, Weird Tales has a long-standing tradition of publishing pioneering works of sci-fi, horror, and gothic fantasy. H.P. 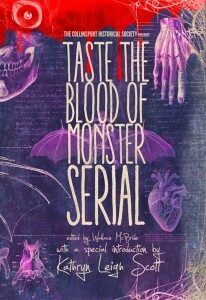 Lovecraft was one of its first contributing authors, and Margaret Brundage, Robert E. Howard, and even Tennessee Williams cut their fangs on the publication. The first re-launch issue (#360) had H.P. Lovecraft’s “Old Ones” as it theme, with a special insert dedicated to the late Ray Bradbury. The issue featured original fiction by Brian Lumley, Darrell Schweitzer, and Michael Shea. 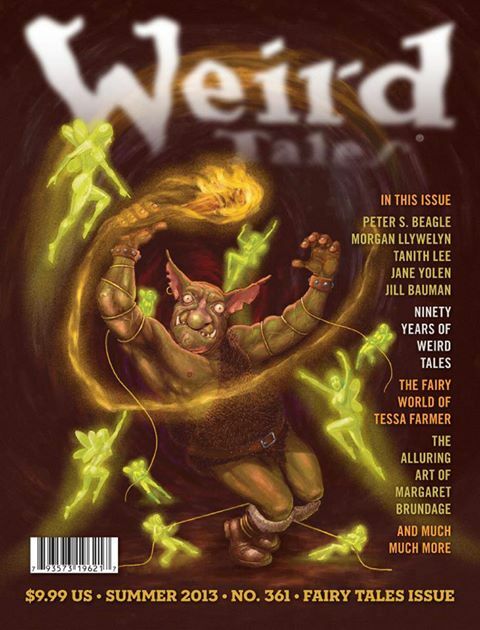 The Summer 2013 issue has a fractured fairy tales theme, and is filled with fiction by Peter S. Beagle (The Last Unicorn), Tanith Lee, and many more. Weird fiction writers must be very excited about the reincarnated magazine, because the editors have temporarily closed submissions for fiction and poetry. To their credit, that’s given them some great stories from which to choose. Hopefully, high-quality original artists will follow suit. The cover of #361 had that classic Weird Tales look. But the art and graphics inside didn’t follow. Weird Tales has been relaunched by publisher (filmmaker and director) John Harlacher and editor in chief Marvin Kaye (playwright, author, and anthologist), with the intention of bringing the magazine back to its weird roots. Each issue will have a theme in design and content, with a little non-themed fiction thrown in. Issue #362 will be an “undead” issue. We’re dying to see how it looks. 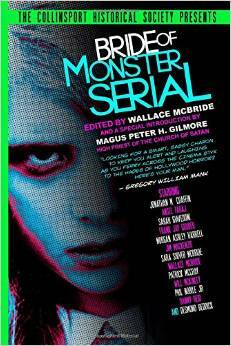 For more about Weird Tales, or to subscribe, click here. book review, H. P. Lovecraft, Ray Bradbury, Weird Tales.